All parts are considered CORES that need rebuilt, unless noted NEW. All prices include shipping in the Lower 48 United States unless noted shipping extra. Contact me for other arrangements, I can ship smaller items world wide. This is a PayPal account optional site. You can make a one time payment with a credit card. If you are new to PayPal you will NOT be required to create a PayPal account to complete a purchase. You will have the option (not required) to sign up after purchase. Check out my feedback on eBay. PayPal payment buttons are BELOW each item. Winter Front. 36, 37, 38 Hudson or Terraplane. The part number says 38 HUDSON 1632 changed to 6. This fits my 37, cannot guarantee that it will fit a 38. Winter Front. 38 Hudson. Original box (rough). Instructions and mount pins. Head Light Buckets. There are NOT Hudson. They are same size only. Hudson Reflectors will NOT fit. They are cut on, but saving grace is the cuts were just bent under. 37 and later. May need a little flat surface work. Studs broken off, 3rd picture. 37 and later. Will need flat surface work. Pitted. Studs broken. Very rusty inside. New Factory Hudson pinned style rings. 3in diameter, STD, .010, and .020 oversize. Top - 3/32", 2nd - 3/32" w/expander, 3rd - 3/16" w/expander, Bottom - 3/16" no expander. $90.00 per set 6 cyl ONLY. Hudson manifold. Don't know the year. Pre 37 transmission. Has pin and mount bracket for electric shift but the top cover is manual shift only. 37 and later transmission parts. Shift cover is manual only, no Electric Hand. The bell housing is broken, see the third picture. I have torn both these down. 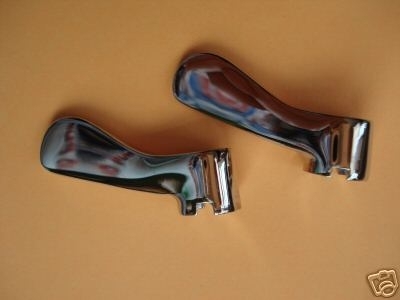 There are useable parts. Let me know what you need. 2nd Gear Bushing bad in both. 1936-7 engine parts that can be used as cores. Let me know what you are looking for. 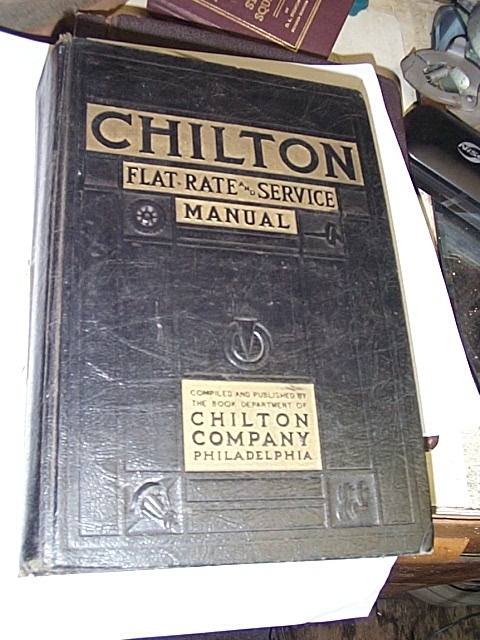 Tillotson single carb with 37 manifold. Working, came off my car. Carter W1. Patent numbers are imprinted in housing. Rear engine to Trans plate. Arc-Les on - off, under dash mount. No light. These are NOS. Near as I can tell, Hudson did not make accessory switches until after the war. A lot of original Hudson cars I have looked at have Arc-Les switches in them. 37 Terraplane Dash insert parts. Back plate, front plate, 5 bezels, one replacement, as the left top is bent bad. Notice the plastic NO and NOT on the bottom idiot lights are bad. some Speedo guts. 37 Bumper anti lock guard. Bent and rough. Waltham Super Six Dash or Header mount, 8 day wind up Clock. The bracket is interchangeable for either mount preference. 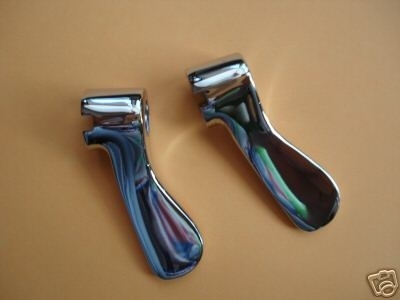 At the time these were the most expensive accessory item you could purchase for an automobile. It has some flaws which I will point out. This watch has been repaired and cleaned by my jeweler who also restores cars. Serial number is 21991823 which dates to 1910 manufacture. Keeps perfect time. Short winding stem. It does have the correct beveled crystal. No U S A above the Hudson Logo. Please study the pictures and ask for more if you need. $325.00 shipped and insured to the lower 48 United States. Disc Wheels for 21" tires. I have 2 with bearings and races. These ran true and straight while on the spindle. Notice the retaining rings compressed at the hold down nuts. Easily straightened. Shipping is extra. Approx 50 pounds per wheel. I suggest check FedEx web site from Zip 59901. $100.00 PayPal down payment button below. 1924-27, not sure? 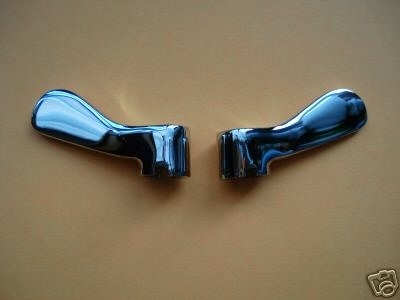 Essex Door Lock Levers, two. Re-Plated. 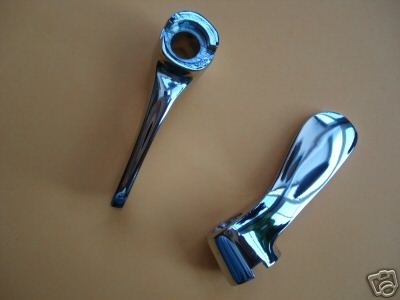 These are round shaft. Hudson has square shaft. Click on any picture to get larger image. 3 position heater switch with light under knob. Used. Couple of heaters. The tan one is guaranteed. It was working in my car. Price is delivered USPS Media Mail in continental United States. Small section in back on service. No cover. Some missing pages.